exPress-o: exPress-o Film Club: The Blacklist. This week I have a different kind of gem for our movie club Tuesday. It's not a film, it's one of the newest telly series called The Blacklist. Are you watching it? 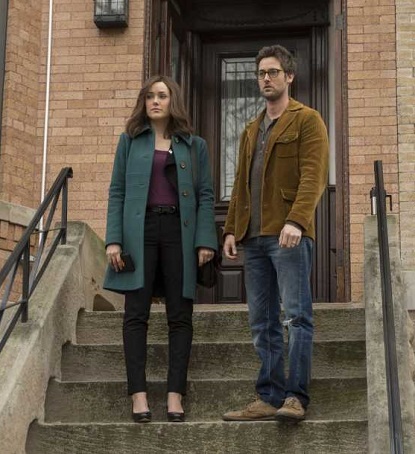 It's NBC's newest drama and it's on Monday nights at 10/9 c. New York Post named it 'the juiciest pick on the primetime fall menu' and I so agree:) Here is the thing, I'm not usually the action type of girl but Balazs and I are totally and utterly hooked on this show. It's one of our favourites right now. There is something so incredibly fascinating about the mysterious plot, I just can't stop watching it. Just imagine the feeling that nothing in your life is what it seems. Your husband has secrets, you have secrets, your whole life seems to be a lie but there is one guy who seems to know tons about you - the problem is, he is not the most trustworthy kind. He actually is the wicked genius, a criminal mastermind who is above and beyond it all - but for some unknown reason, he decides to help the FBI catch some of the most notorious bad guys on a most wanted list that never was. Each fast-paced episode is packed with drama, intrigue, suspense, and you always feel this underlying mystery that keeps you on the edge of your seat. - Here you can read more about the plot. - The show is created by Jon Bokenkamp and you might remember him from the Perfect Stranger. It was his story. 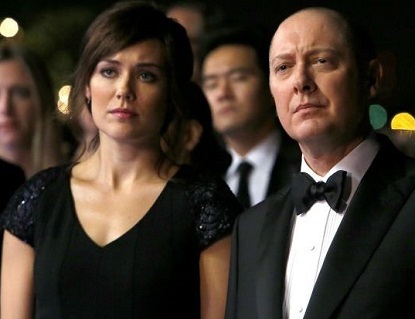 - The two main characters are James Spader and Megan Boone! - The are brilliant together. - Megan and Diego on James Spader. - And James on the story. - In 2010-2011 Megan played Deputy D.A. Lauren Stanton on Law & Order LA. - Do you remember James in The Office? - There is also Diego Klattenhoff as FBI agent Donald Ressler. - He is probably best knows for his role in Homeland. - This is one of my favourite moments so far. - Here is the recap of yesterday's episode if you fancy checking it out. P.P.S: Plus, a few other films I adore right now. YES, we are watching it too. Last night's episode blew my mind. Sounds like something I'd like to give a try. With Dexter ending I need something new to watch :-) And I loved James Spader in Boston Legal. I've only seen the first three episodes, but so far I like this show, a lot! 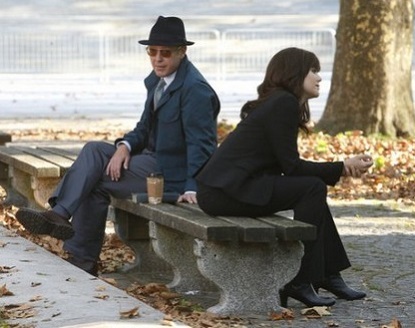 James Spader <3 <3 <3 !!!! !